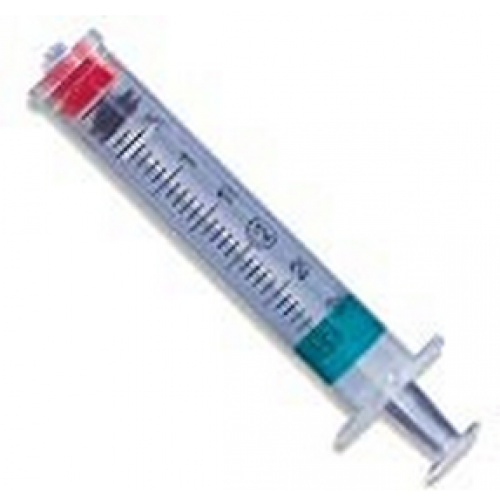 3 mL Syringes are used for diabetic and other medical uses including post-operative conditions, vitamin deficiencies and intramuscular medication. This 3 mL Syringe is sterile and disposable. 3 mL Syringes come in easy-peel blister package. Manufactured by Becton Dickenson, these Syringes are available in clear barrels to aid in accurate measurements. BD Syringes feature easy-to-read scale markings in both milliliters and teaspoon scale for greater accuracy and to reduce the risk of incorrect doses of medication or administrative errors. 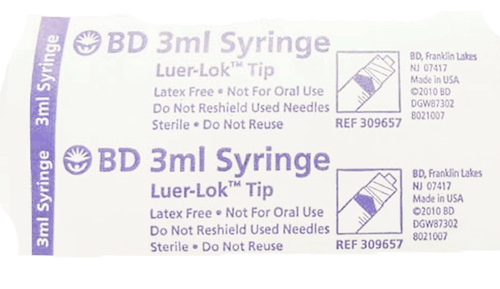 The BD 3 mL Syringe (3 cc Syringe) is latex-free. 3 mL Syringe tip options include Luer Lok Syringes, Slip Tip Syringes, and Safety Lok Syringes. Tapered plunger rod for ease of aspiration. 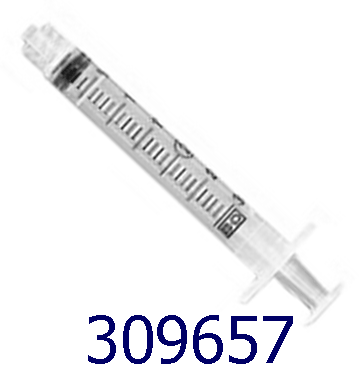 BD 3 mL Syringe Product ID Numbers: 309606, 309656, 309657. Syringe Tip Options: Slip Tip, Luer Lock Tip, Safety Lok Luer Lock Tip. 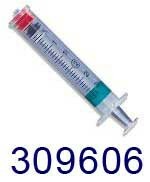 Syringe Capacity: 3 mL or 3 cc. Price was great so I bought the higher quantity---it did not really hit me, how many I actually brought till I seen them. lol I won't be needing any for a while, but I am completely satisfied with the quality of products that I have received from Vitality Medical.